“I have worked with Nicole for 3 years as both her line manager and fellow Case study author. She is a smart , insightful and enthusiastic school leadership Coach who sets herself high expectations and usually over delivers ! I admire her excellent presentation skills, IT wizardry ! and strong commitment to the Charity’s cause”. “It’s not often that you get to work with an individual who boasts such a wealth of expertise. 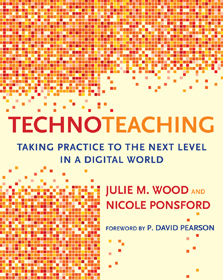 I’ve been working with Nicole Ponsford as a frequent contributor for some time now, and it’s been a pleasure seeing her become a guru in various areas, such as edtech, e-safety, learning with film and liaising with parents. Ana Williams, Governor, Tutor and Library Assistant. RSA Fellow. Ex-Student (Top 5 Trophy Winner for the Virgin Media Young Sparks 2007 Enterprise Competition and selected out of 400 applicants to be sponsored by Barclays to attend the One Young World Summit 2013 in Johannesburg).